In May I noticed that my wisdom tooth had started to “fall apart” as a corner piece was missing. I called and got an appointment at the dentist but he referred me to a dental surgeon. It sat fairly deep so he didn’t dare to do it himself. A pity to not have it removed right away but I’m glad he sent me to experts instead of trying. After a few weeks I got a letter from the dental surgeon that I could call and schedule my appointment. Unfortunately they had quite a long waiting time especially since it was during the summer months and they would be closed. I went home and lay down on the bed so the worst bleeding could subside. After an hour at home I started to feel pain and it just got worse and worse. I little annoying as I still couldn’t drink. After the 3 hours had passed I went straight to the pain killer jar! Finally, some relief! The afternoon and evening I spent watching three movies–love Netflix, for a monthly fee I can watch as many movies as I want! The pain killers were a nice company too. Hubby was out with co-workers as it was his last day at his old job. On Monday starts a new adventure for him. 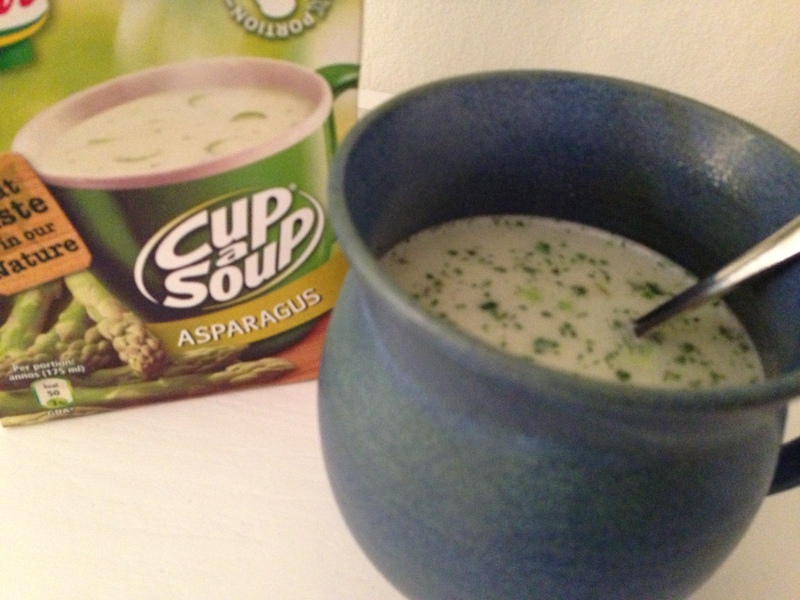 I had anticipated that it would be difficult to eat the first day(s) so Thursday I bought a box of easily fixed asparagus soup for dinner. Can’t say it helped the hunger much but at least it was something. This morning my dear hubby made me yummy scrambled eggs. Easy to eat too! It’s also easier to open my mouth today. It’s still bleeding a little bit but the pain is easily controlled with my pain killers for my rheumatism. As long as I take them regularly I barely have any pain at all. A few more days and I’ll be back to normal again. Just one tooth less in my mouth.